Blue Moon Rising is a documentary film currently in production. The film title is a play on words referring to Manchester City's fan anthem, Blue Moon and chronicles the fortunes of Manchester City Football Club through the 2009-2010 football season. Shot and produced by Endemol in conjunction with the club, it features exclusive interviews with staff, players, board members and fans throughout the season. The first trailer was unveiled last week and the film is set for theatrical release later this year. Roberto Mancini, striker Emmanuel Adebayor and a host of other City stars will be at the star-studded Manchester premiere on September 9. 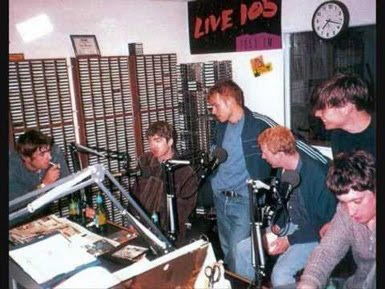 Blur VS Oasis: The Lost Live 105 Interview! Back in the Summer of 1994 a colossal war that dominated every British music mag was raging over in the UK that pitted Manchester’s OASIS up against London’s BLUR and this press-fuelled battle had reached its apex by the time they both found their way to the Bay Area for back-to-back shows in September. I was an intern at the time for EMI records and also Live 105, and was in charge of driving around BLUR for the day doing press and radio interviews as they were in town for a show at The Fillmore with fellow brits PULP as openers. My best pal and roommate Adrian Moreira had a similar position over at Sony Music and was quarterbacking a local press run with OASIS who ironically enough, were playing their FIRST show in San Francisco at Bottom Of The Hill the night after BLUR. Being young opportunists trying to break into the music biz and wanting to capitalize on a potential big press-worthy story, Adrian and I secretly worked out a plan with then Live 105 Music Director and night DJ Steve Masters to separately bring BLUR and OASIS to the Live 105 studios for an on-air interview…. unbeknownst to EACH band that the other would be there. I’ll always and indelibly remember that glare Damon gave me as I escorted BLUR into the studio that already harbored a couple of raucous brothers with the last name of Gallagher. After the interview BLUR and I picked up Jarvis Cocker of PULP at his hotel and then drove over to Bottom Of The Hill to watch OASIS and BRIAN JONESTOWN MASSACRE play to a capacity crowd. To this day I still have no idea how everyone fit into my piece of crap 1988 broken down Jetta. Kasabian gatecrashed a wedding shortly after their appearance at the V Festival in Chelmsford on Sunday (August 22), according to reports. The band were celebrating their headline performance at a nearby hotel when their after show joined up with a wedding party in another room. Close friend and former Oasis guitarist Noel Gallagher and drummer Zac Starkey were among Kasabian's guests, according to The Sun. The two parties apparently spent the night dancing to songs on guitarist Serge Pizzorno's iPod. Grant Nicholas from Feeder says he was in the studio next door to Liam Gallagher last week and described the Manc's new material as much heavier and rockier than Oasis. He said he's mates with both Liam and Noel and reckons they'll get back together in five years. Frequent L4e site contributors Sourmash Music have approached us with some exciting news. Sourmash has inside information that Noel Gallagher has found his new backing band for his upcoming solo projects. Reportedly the band Noel has been talking to is Liverpool's The Sand Band. Hopefully the coming weeks will shed more light on this rumor.  L4e can not confirm the content of this report. Italian fan site Wonderwall.it has published Issue 35 of the only worldwide printed fanzine devoted to Oasis and Gallagher brothers. Starbucks may be the most ubiquitous coffee chain on the high street. But for these two icons of popular music, a greasy spoon is more than adequate for catching up on each others news. 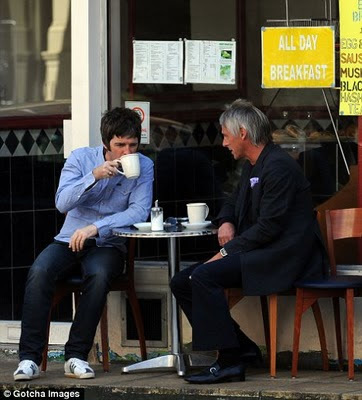 Oasis star Noel Gallagher, 43, enjoyed a brew with Paul Weller aka The Modfather, 52, at a cafe in West London. Looking like an ordinary pair of middle-aged men, albeit with a penchant for youthful clothes, the pair were seen deep in conversation outside the neighbourhood cafe. No fancy lattes or double macchiatos for these two, just a couple of cuppas, as they enjoyed a friendly chat. The millionaire musicians sat outside at the pavement side tables in front of the cafe's windows which were plastered with signs advertising the cafe staple 'All Day Breakfast' at the bargain price of just £4.95. Weller, amazingly, has managed to stay friends with both Gallagher brothers, despite Noel and Liam's well-publicised fall-out last year which resulted in him leaving the band. Weller has enjoyed a 12-year friendship with the father of two. He is also expecting a third child, his second with wife Sara McDonald.  And he has recently signed on to design clothing for Liam's fashion label Pretty Green. Noel has said of the former Jam frontman: 'I guess Weller’s my oldest friend... I’ve known him for about 12 years”, said the guitarist. 'There’s an unwritten law that I never go out with Paul Weller, he’s a nightmare. Last year Noel quit Oasis after a fight with his brother and lead vocalist of Oasis, Liam Gallagher. He posted a statement on the band's website that read: 'It's with some sadness and great relief to tell you that I quit Oasis tonight. 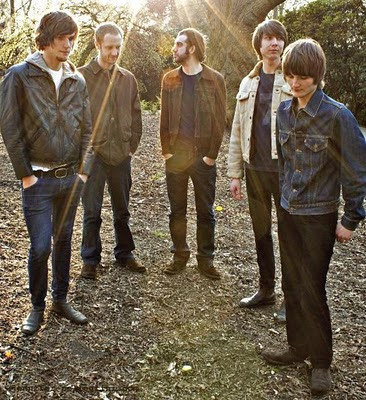 The remaining members of Oasis have formed a band together called Beady Eye. The musician tells Andy and Jason his worries about Manchester City after their 0-0 draw with Spurs. The Brit-pop superstar also tells the boys what he's been up to over the last few weeks and answers questions sent in by you the listener. Class and elegance are not two words we would usually associate with Liam Gallagher, but earlier today the former Oasis frontman had to muster up as much of those two traits as possible (if indeed that even is possible) when he met Crown Princess Mary of Denmark at the Copenhagen International Fashion Fair where he was promoting his clothing label Pretty Green. Considering Liam tends to swear pretty much every other word, we’re almost certain he must’ve said something vile/crude/offensive/derogatory to Crown Princess Mary at least once during the course of their conversation. But if he did, Mary certainly didn’t let the surprise show in her face – cos she’s a true pro and that’s what royals do - or so we hear. P.s. Why are our royals so fug in comparison to the Danes’? 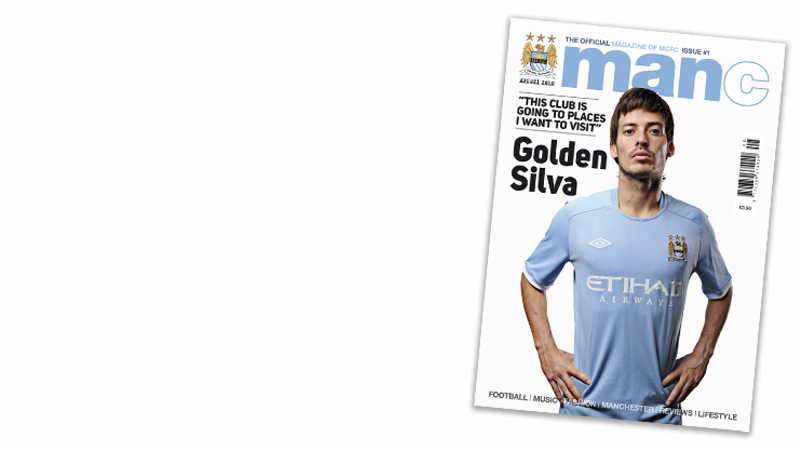 City’s new official club mag, ManC, was launched earlier this week and is also be available at the City Store. Issue 1 features cover star David Silva and also contains an exclusive interview with Noel Gallagher. Emmanuel Adebayor, Aleksandar Kolarov, Gareth Barry, James Poole and Adam Johnson also feature in the completely revamped mag. There’s also the chance to win Muse tickets, check out the latest reviews and plenty of opportunities for readers to take part in various features. 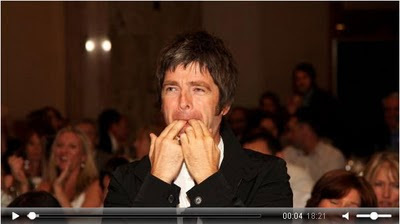 One of our L4e members has started a petition to get Noel Gallagher's TCT performance tapes officially released. Have a look at his website and the statement below to see how you can help out ! Led Zeppelin and Oasis both developed a reputation for taking rock n roll excess to it’s extremes at the height of their careers, but when the two worlds collided in 2007, Robert Plant was eager to avoid a heavy night’s drinking with the Gallagher brothers. The legendary frontman told Mojo magazine he was approached by Liam and Noel Gallagher following his band’s brilliant reunion show at London’s 02 Arena in the December of 2007 as part of a tribute concert for music executive Ahmet Ertegün, but was quick to pour cold water on any chance of a long night. Fifteen years ago boozers were havens for drinking, flirting and fighting for Liam Gallagher. How times have changed for the former OASIS frontman. He spent Saturday at his local in Hampstead, north London, sitting on the Pup Idol panel - having been roped in to judge the dog show by his missus Nicole Appleton. And Liam lapped up the action, planting kisses on the furry mutts, laughing at the cute doggies while mulling over the pros and cons of the canine contestants.  Using the services at RANDOM.ORG we picked our two winners of the Live4ever / Pretty Green Competition today. We collected all entries received using twitter/facebook and email and assigned them a number. The software then picked 2 numbers out for us. Congrats to both winners and thanks to all who entered the competition and stay tuned for more to come ! Enter Our Live4ever Competition - Win a Pretty Green Parka and more! 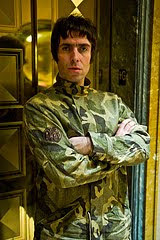 To celebrate the opening of London’s first Pretty Green ‘pop up’ store on Carnaby Street Live4ever is giving away a camo parka like the one Liam Gallagher wore during his interview and photo shoot with us (courtesy of Pretty Green). Runner up will receive an autographed 8×10 glossy of Liam performing with Oasis at MSG. 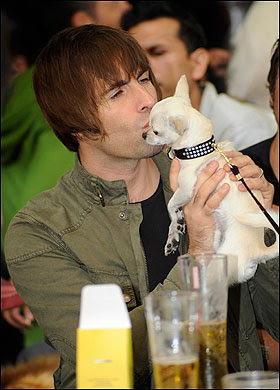 Former Oasis singer Liam Gallagher has donated a signed guitar to raise money for dogs charities. The former Oasis frontman has given a classic Epiphone Casino guitar adorned with his signature to launch PUP AID 2010 - the UK's first charity boutique music festival and celebrity-judged dog show. 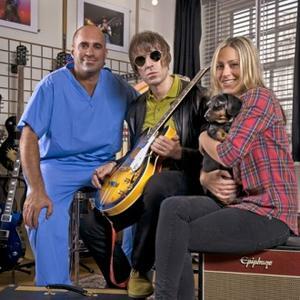 Liam stopped off at the Gibson Guitar Showroom, in London, with wife Nicole Appleton and their Dachshund dog Ruby Tuesday to hand over the instrument to TV vet Marc Abraham. Marc - who is the resident vet on UK television shows 'This Morning' and 'My Pet Shame' - said: "As a massive Oasis fan I'm honoured Liam and Nicole are involved and helping me to promote dog welfare as well as raising much-needed funds for both rescue and the research into the health and happiness of all dogs." PUP AID 2010 takes place in Brighton, England, on September 19 and is aiming to raise awareness about the cruel industry of puppy farming. The guitar will now be taken on a tour of music festivals to gain more signatures from mutt-loving rock stars before being auctioned off at the event. All money raised from the sale will go to three dog charities - the Dogs Trust, Kennel Club Charitable Trust and the Oldies Club. 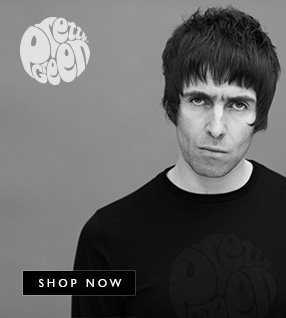 The former Oasis singer has launched his own clothing range in London's Carnaby Street. But, as he told Sky's Entertainment Correspondent Steve Hargrave, he's also working on a new album AND a book!